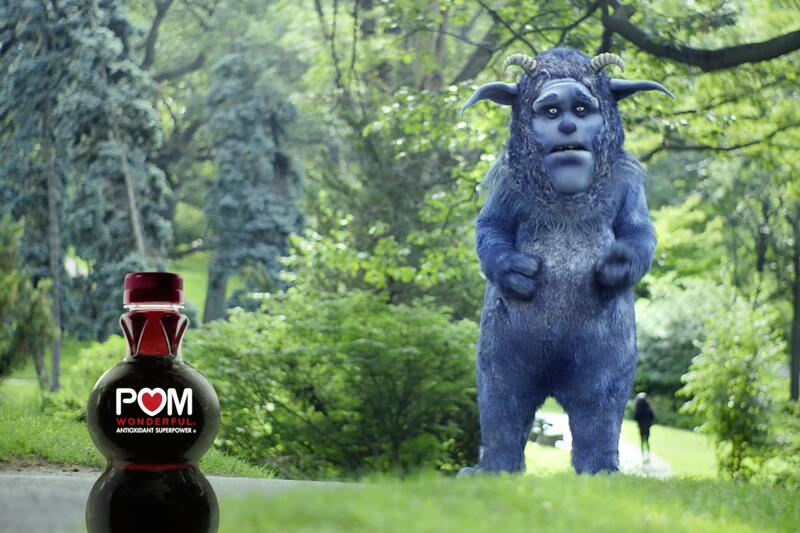 Pom Wonderful is enlisting out-of-work "worry monsters" to promote its juice in what's set to be its next long-running campaign. The pomegranate juice brand is introducing a new tagline, "Worry less," while still using the "Crazy healthy" line it has featured since 2014. After four years of focusing on attributes like antioxidants, Pom is now shifting its message to indicate that its drinks enable a worry-free lifestyle. The worry monsters in the campaign do all of the talking, while the people they've been with for years silently enjoy themselves during moments such as running, doing yoga, attending a reunion or sleeping. "It's such great shorthand for that inner voice that terrorizes you and wants you to worry about everything and tells you to worry about everything," says Darren Moran, chief creative officer at Wonderful Agency, the in-house agency at The Wonderful Company, the private company whose products include Pom Wonderful and Wonderful Pistachios. "I was thrilled when he had his health scare," a worry monster says in one of the spots being introduced Monday. 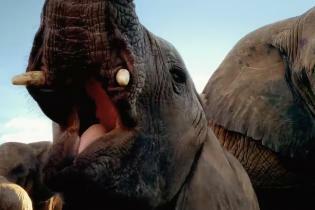 "But now he runs and drinks Pom and nothing I say makes him worry anymore." 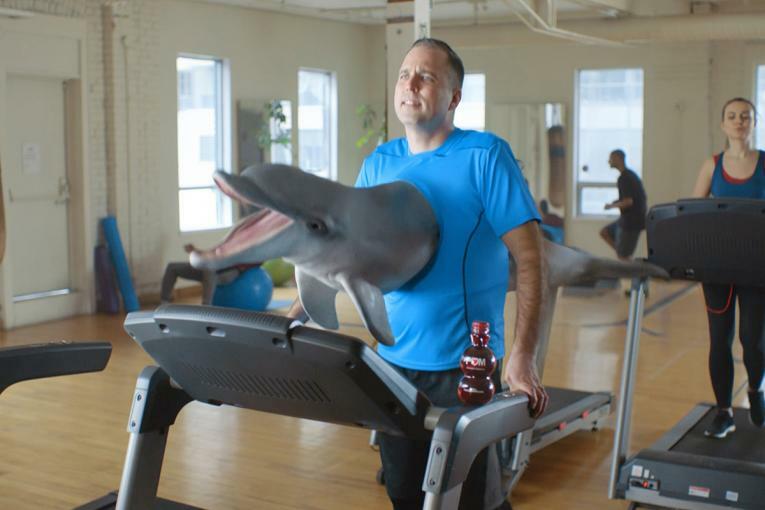 The campaign follows one that ran starting in May featuring a man impaled by a dolphin, a comic device that almost seems to play off pharma ads. Now the brand, which typically attracts an older demographic, wants to hold onto that group and also attract younger fans. The monsters have features that are more sweet than menacing, even as they tower a bit over the humans they seemingly used to pester. "They're sort of out of a job, they're a little put upon," says Moran. If the campaign catches on, Moran says, there's the chance for tie-ins such as plush monsters or accessories. 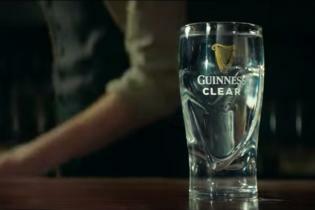 For now, though, the idea is to stay relevant as the competition persists in better-for-you drinks. With "the kombuchas of the world and some of the other vegetable and fruit drinks," Moran says, "The whole category has gotten a lot more competitive." Still, Pom Wonderful seems to be holding strong. With sales of $213.7 million in 2017, Pom Wonderful is the 20th largest juice brand in the U.S. with about a 1.1 percent share, according to Euromonitor International. Wonderful Company, meanwhile, says Pom Wonderful just had its best 52-week sales period to date and points out that its 48-ounce juice is the top item in the super-premium juice category. Media spending on the campaign is pegged at about $11 million over the next six months, with the bulk of that allocated to TV. An upcoming 60-second pre-roll for YouTube shows a monster suggesting things the viewer could worry about, such as Russian hackers, and suggests skipping the worry by skipping the ad, with a Pom bottle near the "skip ad" button. The campaign also includes Facebook ads, search, video ads in doctor's offices, and placement on a Times Square billboard that will feature the monsters in 30-second ads suggesting things people going by can worry about. 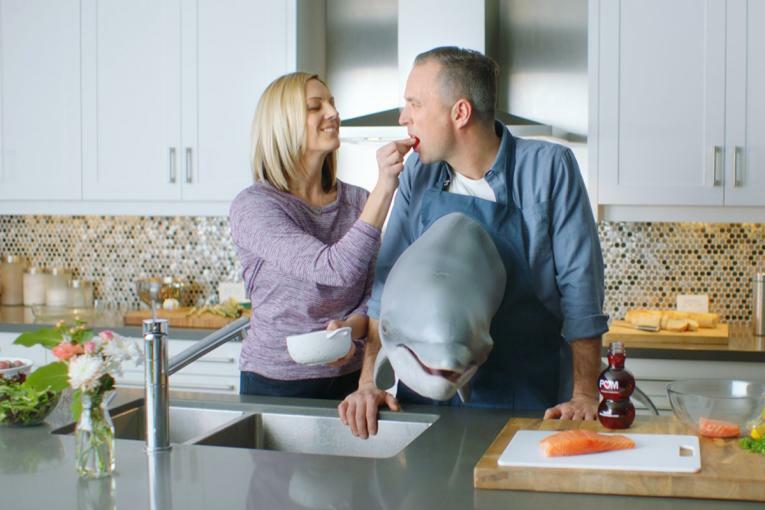 The in-house agency says it worked with Hollywood character design firm Aaron Sims Creative and monster fabricator Stefaniuk FX Studio on the characters, with additional visual effects created by the studio MPC.